Oncquest is a ONE STOP SHOP for your entire high end “CLINICAL TRIAL NEEDS”. We are committed to serve the analytical part of “clinical trials” (Phase I – IV) carried out by various pharmaceutical companies and CRO’s. A well‐qualified and trained project management team with extensive clinical trial laboratory experience goes a long way in ensuring that we deliver results that matter. Our managers carefully review study protocols prior to having an initial central laboratory services discussion with the study sponsor. They will discuss protocol revisions with the study sponsor and will address sponsor’s satisfaction concerns throughout the duration of the study partnership. Oncquest offers a comprehensive range of laboratory tests for understanding the molecular basis of malignant transformations of the cells. These tests are designed to provide diagnosis and prediction of disease progression and can be used for specific treatment of the individual patient’s cancer. 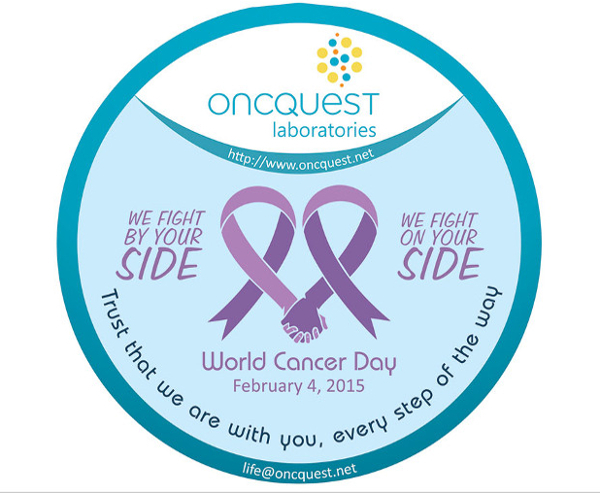 Oncquest has introduced many high technology molecular tests such as FlowCytometry, Q ‐ PCR, RT ‐ PCR, Immunophenotyping (for leukemia & Lymphoma), Fluorescence In‐situ Hybridization and karyotyping for cancer. Oncquest follows stringent quality norms and subscribe to third party QC audits on regular basis. The laboratory has a well-documented Quality Assurance (QA). We perform testing in the laboratory using standard operating procedures and world-class equipment. Our Quality Assurance team understands that accurate clinical data is key to maintaining the integrity of your research and for the well being of each subject. Responding to the demands of outreach and time, Oncquest has implemented QuestMaster, the Laboratory Management System (LMS) with test equipment interface and web integration to assist the processes whereby authorized customers and the Patient Service Centers (PSCs) can access results of the tests carried out by the laboratory in real time. Having corporate tie-up with leading carrier/cargo companies, Oncquest ensures reach of samples within scientifically guided time frame by maintaining chain of custody and integrity of samples. Dummy run is conducted before the actual initiation of the study to ensure a full-proof system. Capability to pick-up specimens for multicentric trials & process within the deadline of the study protocol. All Federal and other Regulatory guidelines such as IATA & ICAO are adhered to for sample packaging and transportation.